These are some of the picks I have made recently. I am very happy with the way the first one turned out. That was the first time I did silver inlay. Simple to do, but somewhat time consuming. Popular You Tube lock picker, Bosnian Bill reviewed two of my lock picks recently. His review has been getting me a lot of orders. I have finally made a website for my lock picks. It's pretty basic, but I don't have the interest or patience to do something bigger. These are a few lock picks I have made recently using ebony and holly. I bought some tagua nuts this week, I have never worked with them before. I will probably try those in combination with ebony next time, but they are too small to make an entire pick out of. 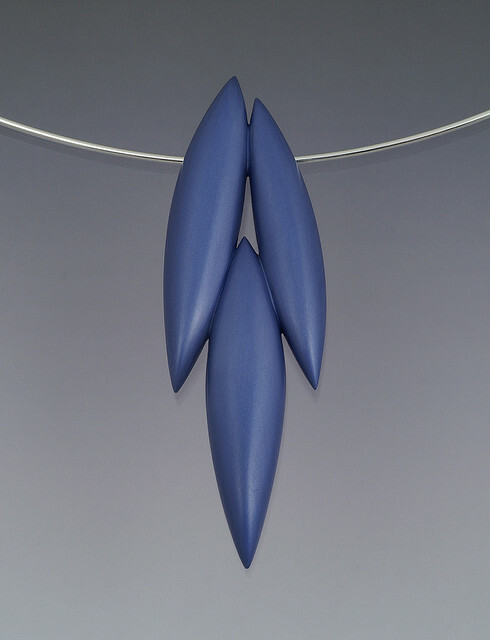 Last week I finally finished this pendant. 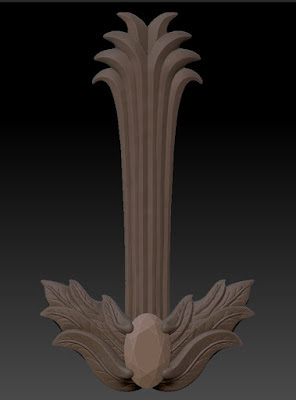 I did the design in ZBrush while I was living in Korea. A customer wanted me to make them a custom piece and chose this one out of several designs I presented. I am glad she liked the finished piece. 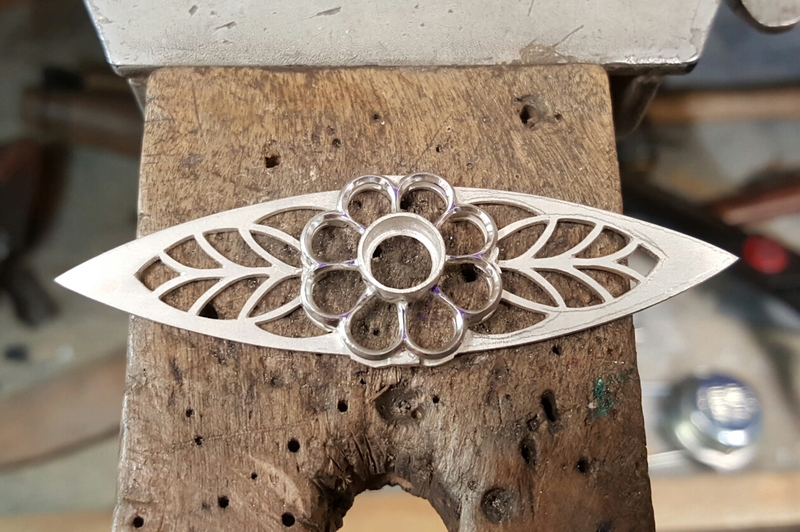 I am always worried the customer won't be happy when they see the finished piece. I am mostly happy with how it came out. 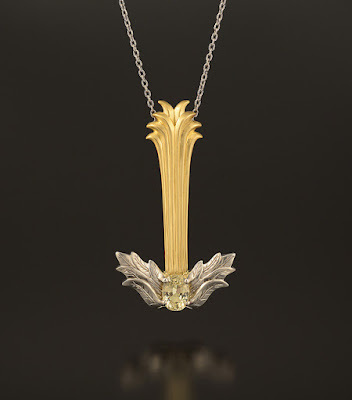 The materials are 18k yellow and white gold and a yellow sapphire. 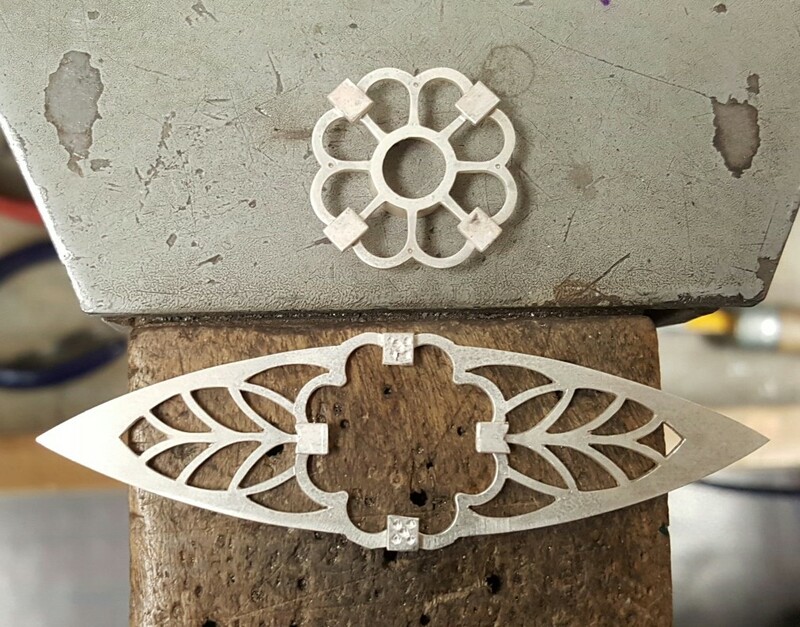 This isn't the first piece I have done with CAD, but I think it is the first one I have done all the work on, from designing it with CAD to finishing the metal piece. 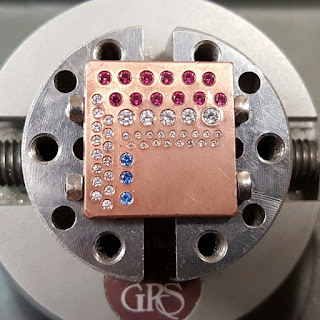 I'll be going to Emporia, Kansas in about a week and a half for the Advanced Stone Setting Class with Blaine Lewis at the GRS Training Center. I'm really looking forward to it. I've wanted to take that class for a few years. Recently these 3 pieces were accepted into the Brunnier Art Museum at Iowa State University. 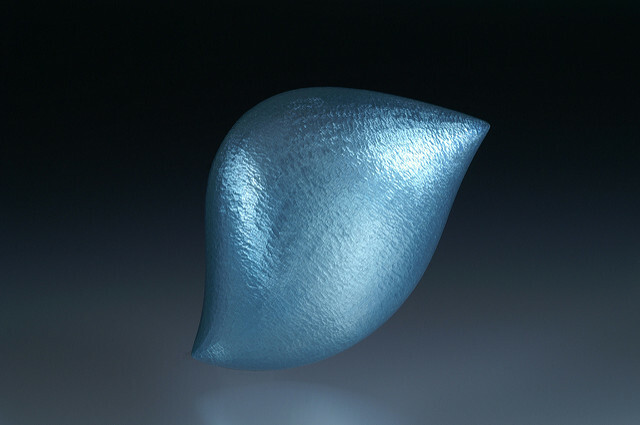 These pieces are all anodized aluminum and sterling silver. 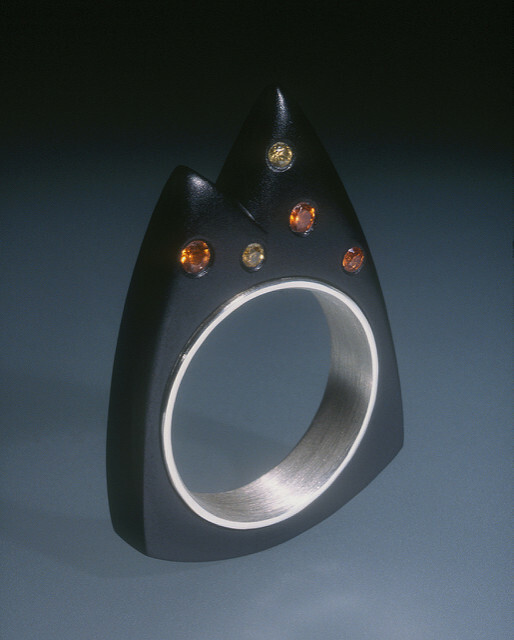 This black ring I made in 2005 and gave to my ex. A couple years after we broke up she sent it back. I told her if she doesn't want it, just throw it away. When I received it I seriously considered destroying it. The stones are sapphires. I wish I had a better photo of it. The Japanese Metalsmithing Kickstarter was successfully funded. Now the person will start producing the videos. I wonder how long it will take? With my previous experiences with Kickstarter the projects all took much much longer than planned. Anyway, it was successful. I'm not going to worry about it. I just found out one of my pieces was acquired by LongHouse Reserve. 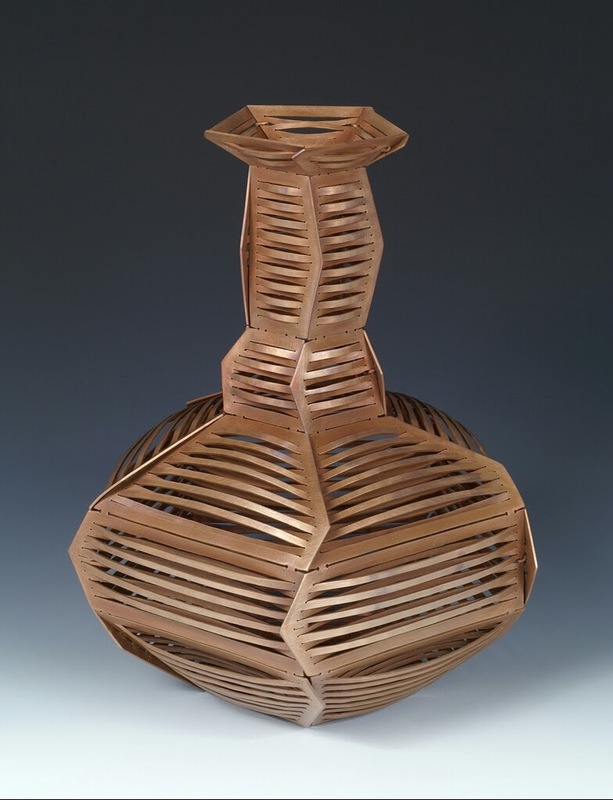 It is this folded copper vase from 2008. I am told it will be in a basket exhibition from April 29th. It's not a basket, but I guess they think it looks close enough. 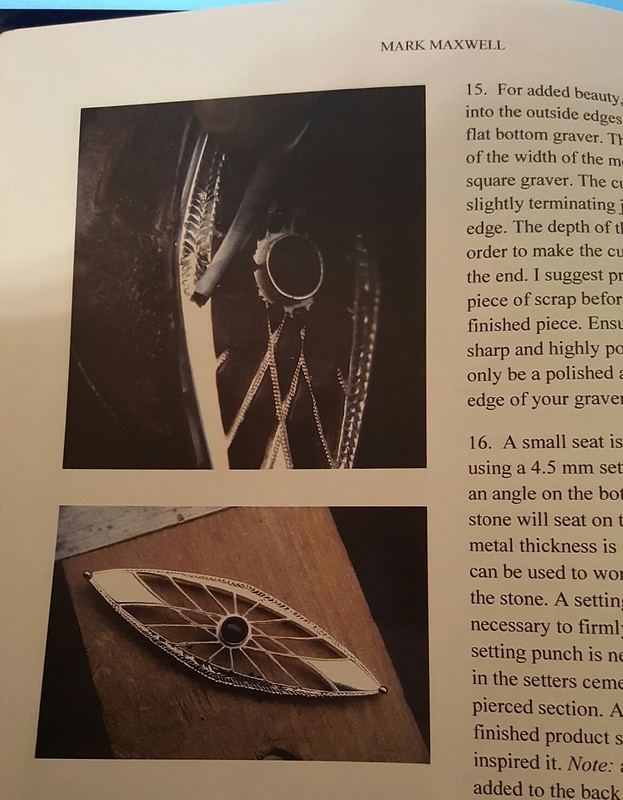 Today I learned of a project on Kickstarter for a series of instructional videos on Japanese metalworking techniques. 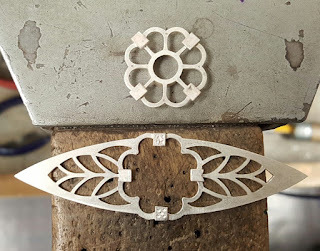 If this person reaches her goal of raising $10,000 she will go to Japan and make some videos about a type in inlay with Kazuo Kashira. This is something I would really like to see happen. I pledged $90 for 3 videos and I hope anyone reading this blog will also support this project. For anyone unfamiliar with Kickstarter, if the $10,000 goal is not reached, the project will not be started and you will not be charged if you pledged money. As I said in December, I am trying to improve my skills. 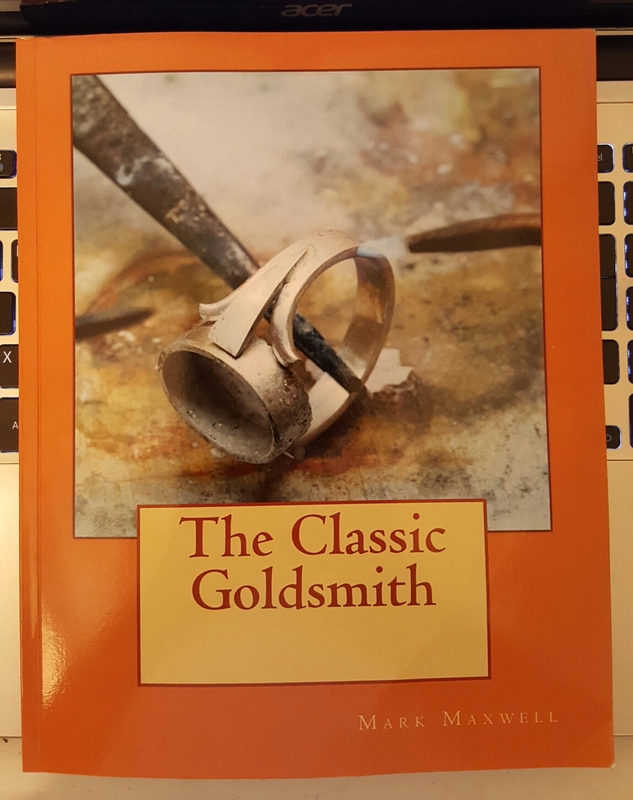 So recently I got the book The Classic Goldsmith by Mark Maxwell, one of my former instructors at GIA. It is sort of an intermediate level project book. Intermediate or higher level because the basics are not discussed, for example it might just say to set a stone, but not talk about how to do it. 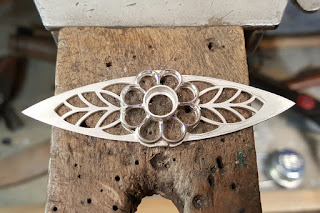 I feel I need practice at fabrication so I am fabricating something similar to the first project, the Edwardian style brooch. I also feel I am too dependent on the laser welder. Even when I am soldering I like to tack things in place with the laser before soldering, so I am making the brooch without using the laser at all. This last pic is where I stopped Saturday night. It's going pretty slowly. I don't have a lot of time to work on it and I am making it to the best of my ability. I really enjoy working that way, going slowly and doing things as good as I can. I'll post all the process photos after I finish it. 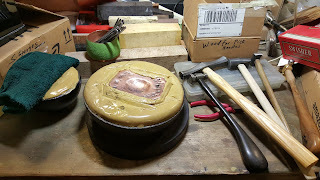 Another thing I have been working on is flush setting. It's one of my favorite types of setting and also probably the one that I need the least amount of practice at. Still I am trying to improve all my setting skills and this one is easy to do without preparing anything in advance, like bezels or prong settings, or channels. I was in Tucson for the gem shows this past week. 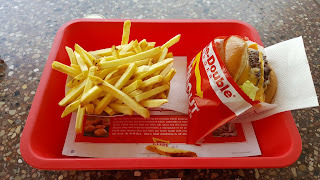 I had not been there since 2004, when I still lived in San Diego and could just drive there. 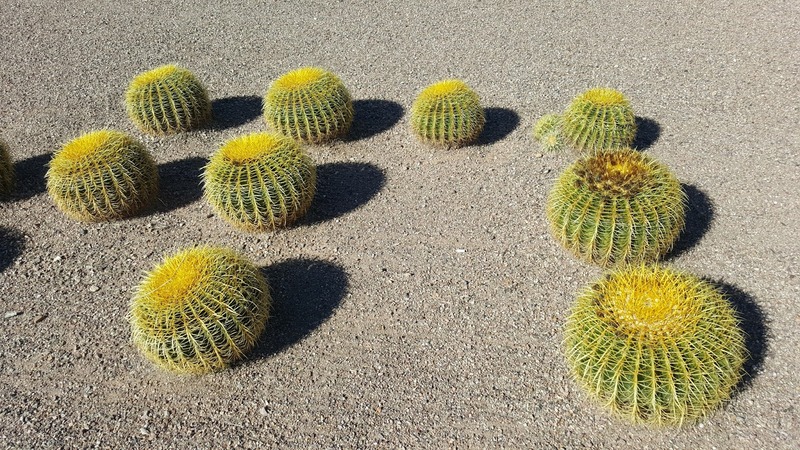 I have a friend in the Phoenix/Mesa area so I also wanted to see him while I was there. 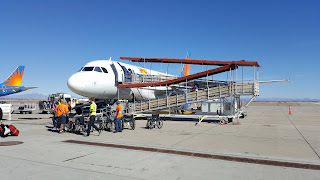 I flew to Mesa Monday, and hung out with my friend for a while then drove to Tucson. Tuesday and Wednesday I went to the AGTA show and GJX show, which are the ones I really go there to see. Both of these shows are open to the trade only. 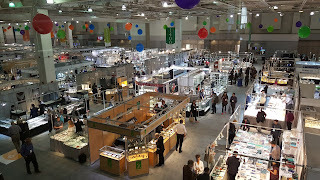 They are primarily gem shows, but there is also some finished jewelry, rough stones, and tools. I wanted to buy 1 or 2 nice stones and some South Sea pearls. 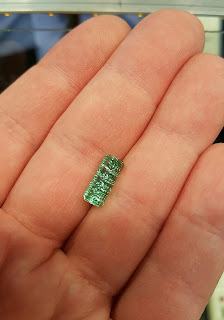 On Tuesday I bought a tourmaline cut by John Dyer. It was actually more than I had planned to spend on a single stone, but his stones are really well cut and that tourmaline had great color and that was just the kind of thing I was looking for. The next day I went back and bought a small garnet from him. I also bought three white South Sea pearls. My mom asked me to get her some pearls for a pair of earrings, I also got one for myself. 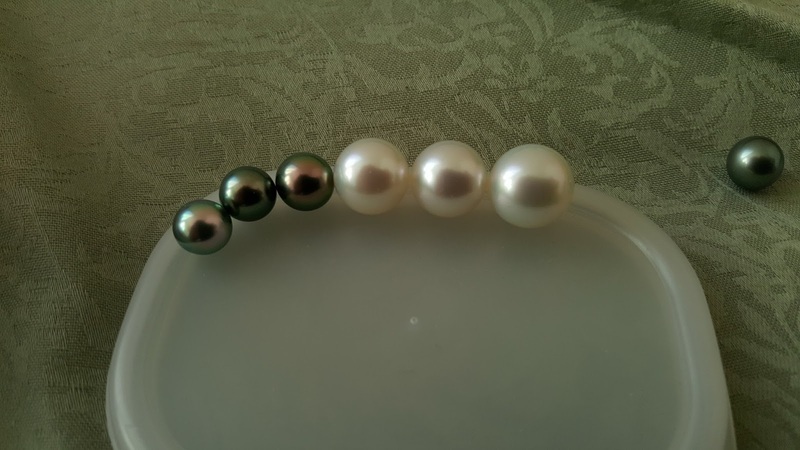 White South Sea pearls, 12.4 mm (x2) & 13 mm, next to some Tahitian pearls I bought years ago. 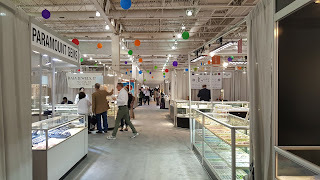 Thursday I went to JCK Tucson. 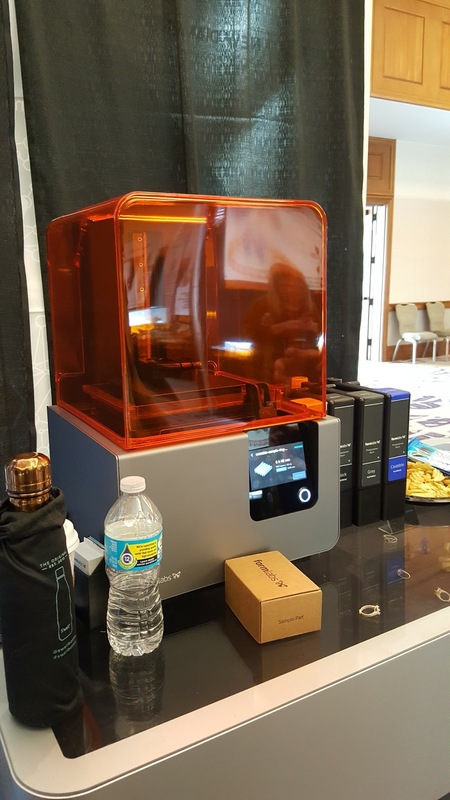 My reason for going there was to check out the Form 2 3D printer. 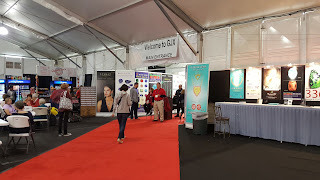 GRS was there so I also spent some time at their booth looking at some new tools. 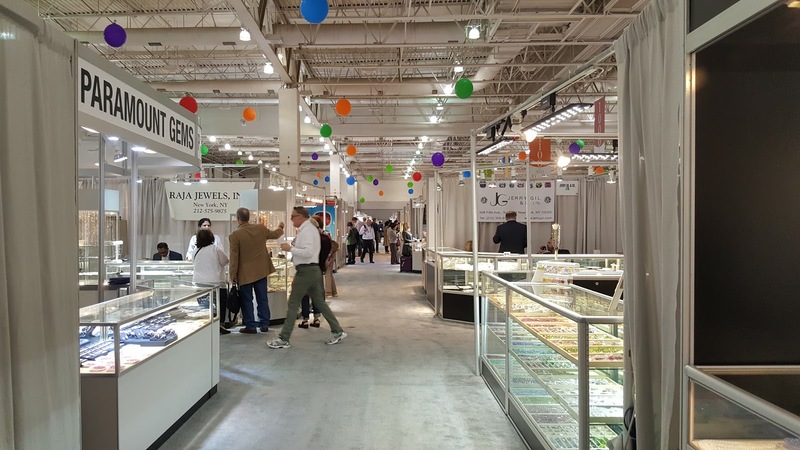 Other than that I mostly felt JCK Tucson was a waste of time. After that I drove to Mesa and met my friend and his wife for dinner, and flew back to Iowa Friday morning. It was good to go to Tucson again and good to visit the Southwest. I really like it there, and that makes it so hard to go back to Iowa. Not sure how long In-N-Out has been in AZ, but I'm glad it's there. I came back to Iowa last night. I spent most of my time in Illinois cleaning and organizing my stuff, meeting friends and working in the studio. I finished 3 wood handle lockpicks. I've been thinking about doing some aluminum handle picks after I get my anodizing stuff set up, but since I can only work on those when I'm in Illinois, I think I would rather spend my time on something else. I tried some repousse with my new pitch bowls. I just put a piece of 20 ga copper in and started hammering without much of a plan just to see how it feels. It was fun. I'll work on my practice piece some more to get used to it while I think of what I want to try to make. I worked till 3-4am a few days. It felt good to work that late again. I really enjoy working late at night much more than I do during the day.